On the weekend when the story broke of the diplomat invoking diplomatic immunity to flee potential charges over a sexual assault I was amazed and concerned as to the tone of the reporting, and the comments made by many as to the alleged incident. Notice I used the word alleged there, I did that on purpose and it’s what many who have spoken publicly have not done, which now may be a genuine defence for Muhammad Rizalman bin Ismail’s lawyers. We have a think in our justice system called Sub Judice where “it is generally considered inappropriate to comment publicly on cases sub judice, which can be an offence in itself, leading to contempt of court proceedings.” This is also linked quite closely to the legal requirement for a court case that all accused are “innocent until proven guilty” but in a more basic way it’s all about not speaking publicly about a case that may influence the jury, and therefore the outcome of that case. It applies only when charges have been brought so I acknowledge this technically isn’t in breach of that convention, but I would argue that there has already been an atmosphere created that may not allow Muhammad Rizalman bin Ismail to get a fair hearing. If someone cannot get a fair hearing…they walk. Some specific comments that I would point to. Now these statements (which are a couple of many, many public comments made by politicians, talkback hosts, bloggers, commentators etc…) paint a picture of justice needing to be done for a victim, If there is a victim there is a crime and they are associating that crime to the diplomat. They are saying he committed the crime and needs to face justice for the victim. A quick Google on the subject around the time the news broke shows many headlines that talk in the affirmative of a crime being committed and linking it to the diplomat. Now this post is in now way a support of the diplomat, or a defence of attacks on women so please don’t see it that way, I am purely looking at how this may, or may not proceed in a legal sense. I am left wondering, due to the environment flamed by John Key, Murray McCully, David Shearer and all in the media who have inadvertently, or blatantly, convicted Muhammad Rizalman bin Ismail of committing a crime, have now also given his lawyer the ability to argue that his client cannot get a fair hearing. And I think he may have a point. So today Labour has promised to eliminate school donations by giving “an annual grant of $100 per student for schools in lieu of voluntary donations” to finally make primary education free in New Zealand. I like this policy, I applaud this policy, I endorse this policy however, as you well know, I fight for politicians to be consistent. 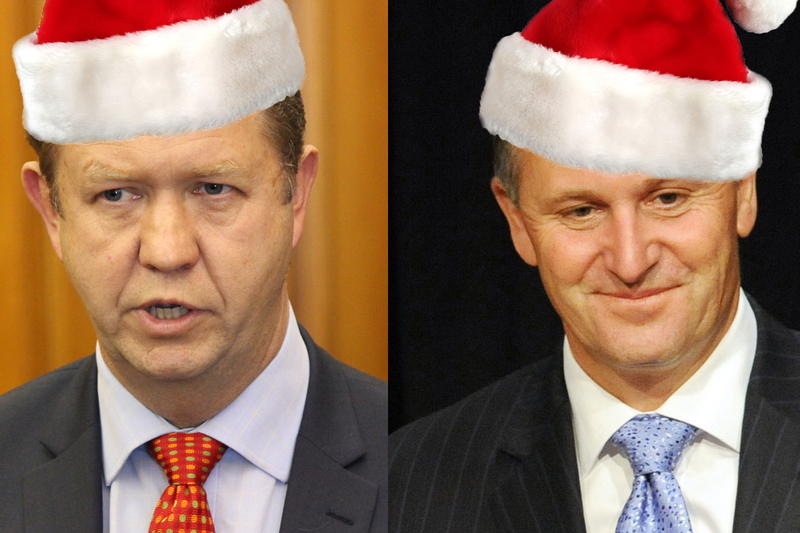 Just 2 days ago, or “aggggges ago” as it is seen in the world of politics, both Russel Norman and David Cunliffe were deriding John Key for offering election bribes in the form of roading projects. Can we please settle this once and for all and can I ask you politicians to stop looking like idiots, they are either all ‘bribes’ or none of them are. You decide and move forward accordingly. John Key you cannot go on Larry Williams or Duncan Garner this afternoon and call ‘free education’ a bribe unless you accept that your roading projects are as well, and Mr. Cunliffe you must acknowledge your offer of $100 per student to families is a bribe or Nationals focus on two lane bridges are not.